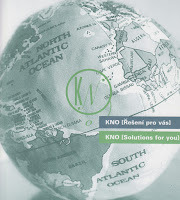 KNO Worldwide works in the field of organization performance improvement. This space is a record of interesting observations and tips from our Founder/Partners gathered from diverse projects in over 40 countries. The briefing below, by Steven Kelly and Mari Novak, provides an outline and update of the application of PDPM in the Northern Cyprus Community. The briefing outlines progress halfway through an 8 month program. As a segment of the KNO PDPM workshops in Cyprus in February 2010, a special exercise was conducted applying the PD principles in a simulated workplace. A highly engaging and intense experience, managers come out at the end with a deep kinesthetic knowledge of what it feels like to be in a high performance environment. Is training really the answer?